Kate, 24, England. A space to blog about my thoughts, projects and everything in between. Alnwick Gardens is one of my favourite days out, not just because of the stunning landscape, but how accessible it is for me. 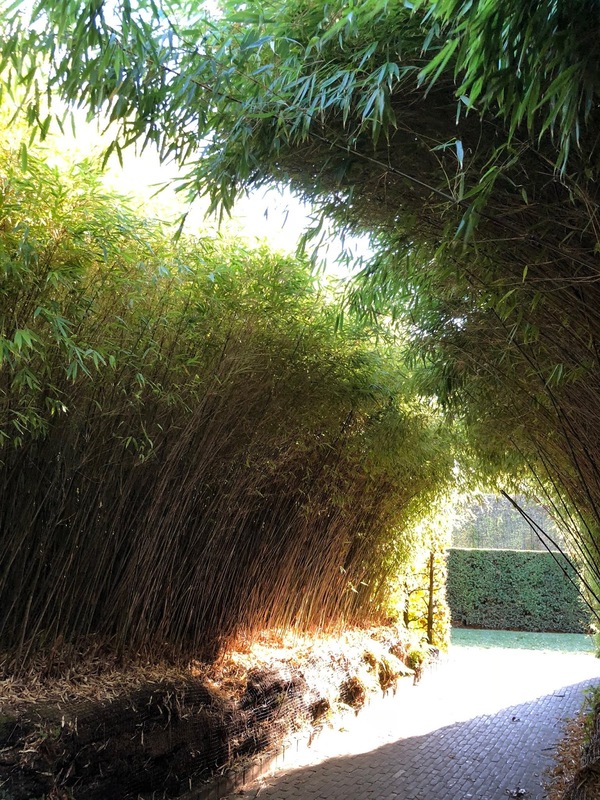 It's one of the world's most contemporary gardens in the heart of Northumberland which also consists of the famous wooden treehouse, interactive water features, bamboo maze and poison gardens. I visited the gardens during Calvert Trust Kielder's 'Northumberland' themed respite week and thought it would be a great place to start my accessibility reviews. Like many main attractions these days, there is a concessionary rate for disabled guests which allows a ticket for one free carer. Some of the staff have had extra training in disability awareness, BSL and Next Generation. Every time I have visited Alnwick Gardens, I have found the staff extremely friendly and useful as they've talked me through the best routes to take with my wheelchair. The attraction also provides wheelchair and mobility scooter hire on top of a space to charge your power chairs and scooters. I will talk about the layout of the gardens soon, but I would recommend if you are elderly or self propel a manual chair that you take advantage of the scooter hire scheme. Parking is very easy, with a separate section of the car park free for blue badge holders and allows you easy access to the entrance. When visiting, you are given a map with the best accessible route to take. If you were to self propel your own wheelchair, some of the gradients would still be very difficult so I would recommend hiring a scooter for the day. Even with a carer pushing a manual chair, the gardens are on quite a steep slope so it's worth keeping in mind that it is a long and potentially hard push. We went up through the orchard which was beautiful, they had just put up swings throughout and it's always my favourite part in Spring when the trees blossom. However, the path wasn't at it's best condition so some of the potholes were a bit problematic, but, overall it was a nice ride up. Once we got to the top, there was a flat garden to look around and then we descended on the opposite side by the water fountains. The water fountains were one of my favourite parts. They were interactive and one was at floor level so you could get soaked (if you wish!) in your wheelchair. Others allowed you to wheel up and touch the moving water which is amazing as being in a chair you usually miss out on things like that. 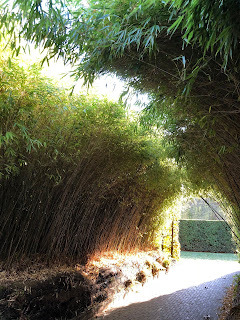 Next, we went through the bamboo maze which was also wheelchair accessible. This blocked out the noise of the gardens so was really relaxing until we got lost! Finally, we warmed up with a cuppa from the cafe. I loved seeing that they went the extra mile with the accessibility in there too. They had large print menus, wide contrast coloured automatic doors and a selection of food to suit any dietary requirements. The shop was a little difficult to manoeuvre around with my large chair, but I was happy to see they had a Changing Places toilet, although it was on the smaller side. On this trip, we didn't do the treehouse but I have been in there plenty of times before. This by far is one of my favourite things to explore! The treehouse is the largest one in Europe and it has a selection of swing bridges which cascade through the treetops. What's even greater about this is that you can take your wheelchair across the bridges as they have been built to be wide enough and stable enough for scooters. It's a truly magical place, especially in the evening, and if you're very lucky you can dine in the treehouse too. Overall, I would thoroughly recommend going to Alnwick Gardens if you are a wheelchair user. They have gone the extra mile to cater for all disabilities, from making sure that plants are at different levels to you are able to smell them in your wheelchair to building a wheelchair-friendly swing bridge. This would have a 5* rating from Spencer and I, so we look forward to visiting again soon! Kate, 20, England. ME sufferer, trying to make the world a better place.